Welcome 2015! As we ring in the New Year, let’s look back at 2014 and see how far we have come. Here at Steve Hightower Hair & Day Spa we strive to be a part of our community and to give back when and where we can. Last year was exhilarating and full of events, which turned out to be great blessings! We can’t thank you enough for joining us and taking part in our efforts to raise money for The Center for Children and Young Adults (CCYA). Not only did you support the kids by adopting each of them for Christmas, but you also helped us raise close to 0,000.00 in our annual Thriving Children Gala this past May. Thank you! While having a fun night of fashion, we are able to help empower homeless teens and young adults, helping them to transition into living as independent contributing adults into our community. I was lucky to tour their facilities and it was great to see the resources available to these kids that they wouldn’t have without all the help. Thank you for your donations and your volunteer work this year! Besides putting on our own fashion show, we volunteered our time and talents to help other great causes. “Teal to Heal” was a fashion show put on by Tootsies to raise awareness of and to celebrate the lives of those suffering from ovarian cancer. This was the third year we volunteered to do the hair and makeup for women who are in remission or currently fighting ovarian cancer. It felt so good to get each of these very brave, strong, beautiful women ready to walk the runway! For the first time we did hair and makeup for Manna Fund for their campaign “Be the Model,” a fashion show to raise money for the treatment of teens with eating disorders and the prevention of the mindset that leads to developing them. The Manna Fund’s goal is to create a movement for our youth to change their belief about beauty. We look forward to working with this inspiring organization with their show this year. One of the fun things we’ve done in the salon was host Jaime Primak Sullivan, star of “Jersey Belle” on her Keurig Cawfeetawk tour. She brought her crew and invited her viewers to an early morning meet and greet. We shared beauty tips over coffee and enjoyed Jaime’s message of women empowering women. This event was one of the highlights of our year and a great time! Celebrity makeup artist Lori Neapolitan flew in from Chicago to meet with our clients, giving each person a private makeup class. She transformed an easy, quick, customized, five-minute makeup application into a polished day look, and then transitioned the look into a beautiful “party” or “night time” look. What is fantastic about Lori is she meets each women where they are and incorporates beauty into their lives in an easy, non-intimidating way that fits their unique lifestyle. She taught us a class so we can help you create your own customized look if you missed her. Being pretty and polished doesn’t have to be intimidating! Some other things happening here at the salon: Steve has launched his own line of lipsticks. Called “SH Color”, we are featuring four new shades of long wearing, lip moisturizing, wearable colors. Be sure to stop in and try them on, you may just find your signature lip look! As some of you might have noticed, we have had some remodeling going on this past month and it is now finished. In addition to re-painting the entire interior of the salon, we have renovated the spa area, creating a quieter, relaxing, restful atmosphere for our clients enjoying spa services. This past year we were recognized by Talk of the Town for “Best Beauty & Day Spa”, Modern Luxury’s Jezebel Magazine “Best of 2014 for Best Salon” and Tamara Townsend, our esthetician, was voted “Best Faux Lashes” for her eyelash extension work. We are the chosen salon referral for the Ritz Carlton, Four Seasons, and the Intercontinental hotels. 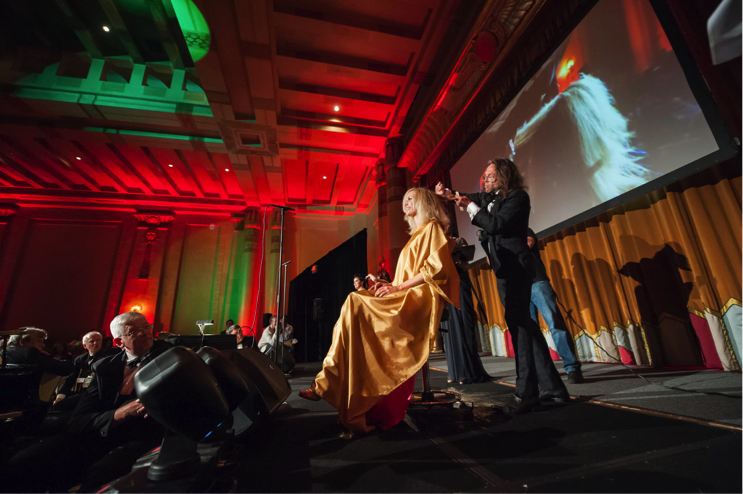 Our Sixth Annual Thriving Children Gala will be on April 24th at The Fox Theatre Egyptian Ballroom and Grand Salon at 7pm, so save the date! The Gala will include Fashion and Hair Show segments, entertainment including Angela Reign, silent auction, food, and drinks. “Teal to Heal”, “Be the Model”, located at TOOTSIE’S celebrating and benefitting Ovarian Cancer Survivors. American Heart Association’s Seventh Annual “Red Dress” party held at the Crowne Plaza Hotel- Atlanta/Perimeter at Ravinia. Friday, February 13 at 8pm. We want you to come and take part of everything we do! We can’t do this without you, your support, and your business. Look forward to seeing more fun event invites, specials, and services you will love! P.S. As the temperatures drop below freezing, please consider bringing in your gently used blankets and large coats. We will deliver them directly to our area’s homeless. 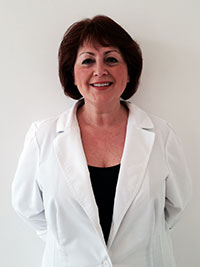 Freida began her career as an esthetician in her home country, where she took many courses and attended The School of Traditional and Swedish Massage. Upon her arrival to Atlanta she finished the International School of Nail and Skincare and received her license in 1993. She attends many continuing education courses that allow her to excel at her trade. Freida has 2 daughters and resides with her husband in Lawrenceville. She has always loved what she does and always makes her clients her top priority. Think of how much time and money you spend on selecting the right handbag. How much do you spend on jewelry and clothing? Your hair is showing 24/7. Maintaining your color and cut & style does more for your appearance around the clock than any other investment. • Keratin Smoothing treatments will save you up to 60% of your styling time and make the morning much easier. • Permanent Waves give you the curl and movement you want without constantly using curling irons or hot rollers. 1. Don’t neglect your shape. Not only will hair grow a bit faster when shaped up, you will want to keep damaged split ends trimmed off so that you have a flattering hairstyle during your grow out. Trim off the dead ends every 6 -8 weeks. 2. Use a proper shampoo and conditioner such as Zenagen Evolve. 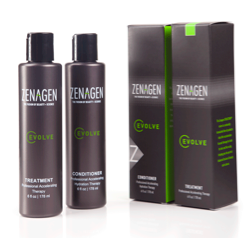 The Zenagen Evolve line repairs damaged hair while stimulating faster growth. Evolve, a two-step therapy process focuses on accelerating hair growth up to 40 percent, and repairing brittle, damaged hair caused from heat. The system uses the pharmaceutical-¬grade nutraceutical compounds to invigorate and repair the hair and scalp. Evolve is made from ingredients including Ginger Root, Vitis Vinifers, and Oleic Acid Rich Emu Oil. Evolve consists of a treatment and hydrating conditioner which you only need to use three to four times a week. Many people believe that they need to wear certain hair lengths and styles as they age. Strictly speaking, this is not true. There is no such thing as an age appropriate cut. Appropriate haircuts are haircuts that flatter our face shape and bring out our best features. Our face shape changes as we age. We get double chins, fuller cheeks, and sagging cheeks. Some people get fillers and/or surgery that alter the face shape. Our eyes begin to sag. Sagging features create lines that affect the shape of the face. Most of the lines are going down. Therefore mentally, without being conscious of it, the human mind and eye see lines going down and our mind thinks that the hair is dragging. As we get older, gravity takes a toll and things start falling. Hairstyles need to change to compliment the lines and angles of the face. Generally speaking, angles should be cut into the hair at a 45-degree angle. The human eye and mind will see a 45-degree as going up and this appears to lift the face. This effect varies depending on our hair length, texture and density. Whether it is extremely short, a mid-length bob or long hair with layer should be cut on 45-degree angles. Cutting on the vertical is not good because it creates length, causing the eye to go up and down. And will increase the appearance of the face falling. Cutting on the leads the human eye to see increased width. Most should not be cut on a horizontal. Cutting on a 45 degree angle is best because it creates lift. Some people think that hair color should be adjusted with age. There is no such thing as age appropriate color. Hair should be matched to skin tones regardless of age. As women get grayer they tend to not want to maintain a color that must done every four weeks or sooner depending on the percentage of gray. Example: if someone is 76% gray and has dark hair, in two to three weeks they are going to be showing a line of gray hair that would need to be covered up. Many clients start highlighting and over a period of time the hair becomes much lighter and the gray comes in more. So people see this happening and their mind is telling them they have gone lighter. People think that we are supposed to go lighter as we age. This is not always true. What color compliments our skin-tone. What percentage of gray hair we have. What budget and time considerations we have. Plus medications and other things can cause the shaft to open fully. Then, when a color molecule goes into the shaft to fill it, the molecule cannot due what it is designed to do. The color may only stain the hair because the molecule partially washes out because of the shaft pores being open. A yellow gray is easier to cover because two of the five pigment of color are still in the shaft or (it wouldn’t be yellow.) For gray hair to be completely covered the color must be mixed with all five colors as well as fashion tone (such as auburn or honey gold). The use of ammonia free hair color such as INOA color will respect the hair, condition and provide complete coverage. Hair should be de-mineralized with a pre-treatment such as Malibu to provide the very best coverage. Conditioners are designed to make the shaft lie back down. Many people don’t use conditioners because they think it makes their hair too soft or too flat. This only happens when the wrong type of conditioner is put right onto the scalp and worked in and then rinsed out because in that short period of time the conditioner has helped smooth down the cortex. This causes the hair to lie the way it should. Colored hair and gray hair should always be conditioned because it will dry out quicker than most due to the shaft being so open. The proper way to use conditioner on this hair is to apply to the ends first, working up the hair so that when you get to the scalp the ends have been on longer. The ends of hair will make the hair lighter in weight so you will have more volume. For beautiful, healthy hair you must use professional products. The best products have the proper pH balance, contain sunscreens, clear away pollutants, and do not contain sulfates or alcohol. We recommend Oribe and L’Oreal Professionnel products for at home maintenance of your gorgeous hair. When we have the right cut and color, we look amazing at any age. I want to try a massage, but I am modest. I'm a professional - don't try this at home.